I just finished implementing a password strength check meter for nopCommerce registration page as I feel in e-commerce business payment transactions are done, so security issue is very important. 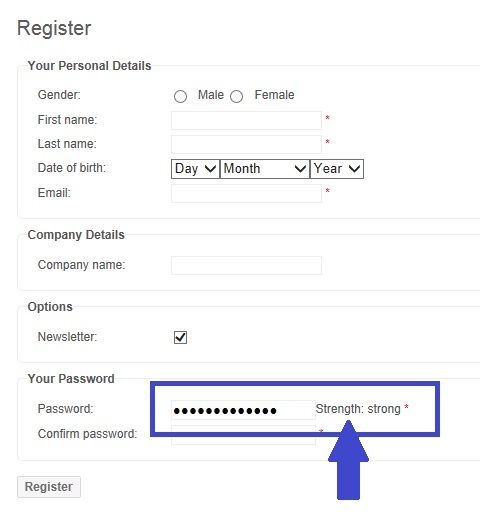 In the registration page, password strength checking meter should be there in order to notify user if his/her password is strong enough or not. Today most of the websites use this password strength meter to check the strength of the password. Here are the steps to add a password strength meter to your nopCommerce register page.